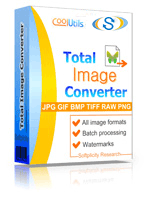 Convert PDD to TIFF raster images online in a few seconds! Try the PDD to TIFF Online Converter now or buy a batch App for more! Description PDD is a compressed image file format developed to reduce file size and save disk space. Files with this extension are created in Adobe PhotoDeluxe � an image editor, which was the only program to support PDD before the release of PSE (Adobe’s Photoshop Elements, 2002) � a scaled down version of Adobe Photoshop. Although Adobe PhotoDeluxe is no longer popular, all PDD files can be opened in PSE, Adobe PhotoShop and other Adobe applications. There are other specific types of PDD files associated with Polar ProTrainer used by coaches to schedule and monitor sports training classes, ActiveVOS (business management) Database Designer for PostgreSQL (database management), etc.